﻿ Quality Inn and Suites North - Ohio. Find It Here. Quality Inn and Suites North is located on Route 23 just off I-270 putting it near the best of Columbus. The hotel is a short drive to The Ohio State University and the Short North District. Attending a convention or group meeting, The Columbus Convention Center is a short drive also. A quick jaunt west on I-270 will allow you to enjoy the world Famous Columbus Zoo and just East along I-270 will enable you to shop at both Polaris Fashion Place and Easton Town Center, John Glenn International Airport is just 20 minutes away! Enjoy a concert at Nationwide Arena, Value City Arena or LifeStyle Communities Pavilion. 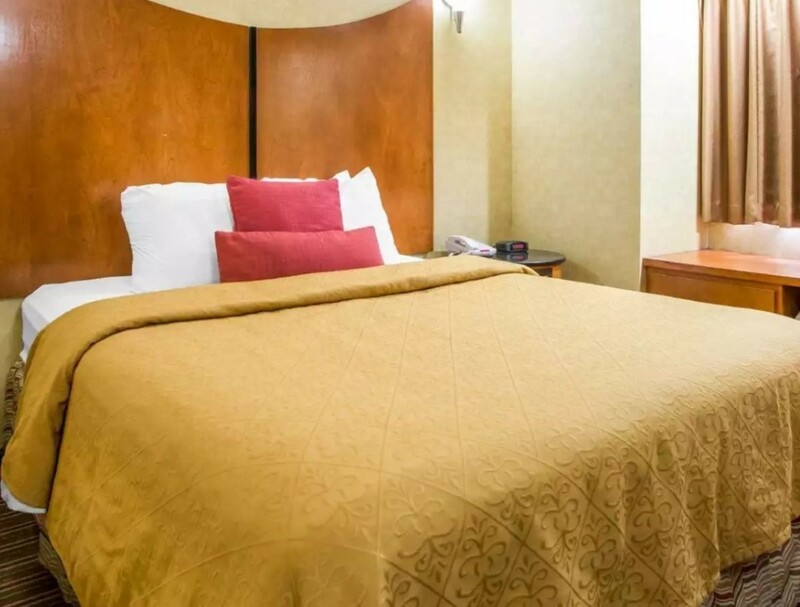 Each room at the Quality Inn and Suites includes a hot breakfast buffet, high speed wireless internet access (HSIA), and microwave and refrigerator in each room.